Technology has no constraints, no halts and no boundary. It keeps on believing in the new inventions and upgrade of previous versions. That’s why every other day, there is a new launch of a new handset, laptop, gadget and devices. Big brands keep on eliminating the glitches, highlighting the good elements, refraining from flaws and errors, keeping in check all the feedback by the people and also launching the latest features into their devices. Whether they are smartphones or gadgets, brands never compromise on anything. The quality is always a step up. Who is not aware of the brand Huawei? It is the most selling brand all across the globe with excellence and pure functions. People rely on Huawei and they trust it blindly. Because they really have earned this status and their profits are mounting because of their utmost struggle in improving the smartphone experience for their consumers all around the world. Lately we came to see the launch of Huawei p9 which is a phenomenal set, one of its kind. It is taking the technology to some other level of flawlessness, vigor and perfection. What a finesse and spectacular body of the smartphone. A little pricy but it is really worth it. It has seamless design, what a crisp sharp look, photography through this phone is nothing less than a marvel. A bigger display of 5.5 would give you a wider and brighter view with more precision and clarity. What more would you want other than this package in your pocket with sleeker body and amazing touch experience? 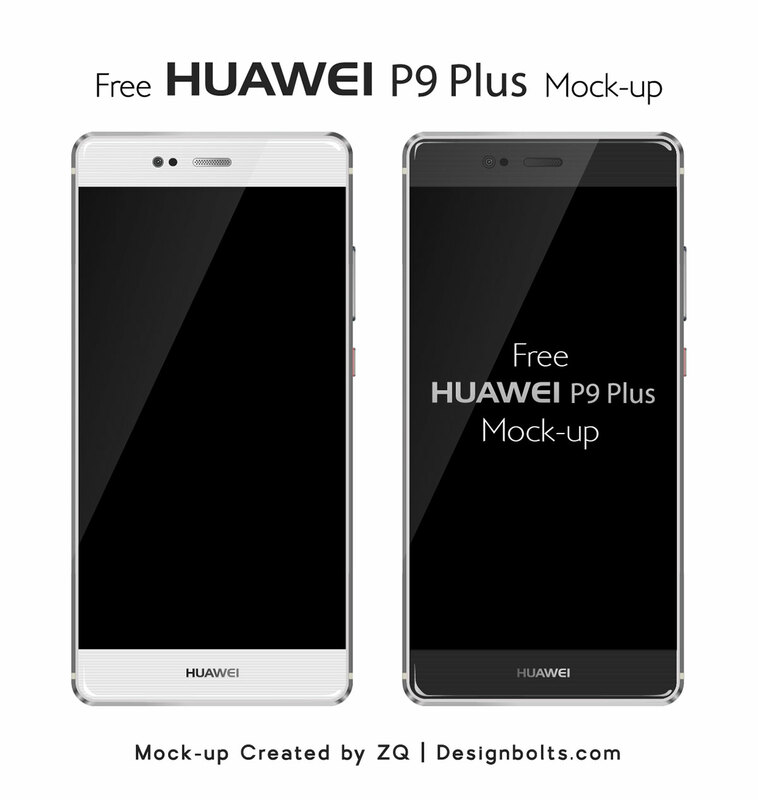 Today I am unfolding before you free Vector Huawei P9 Plus mockup. You can use it in your personal as well as commercial projects. Stick around for more posts in future as well. We are here to update you with all the latest happenings in the design, art and tech world. Give us the feedback and encourage us by hooking up to the blog through subscription. You will get daily dose of design updates. Here we go!